Known for its lush, green gardens and contrasting jagged mountain coastline, Kauai is often called the Island of Discovery. So it's a good thing that discovering nature on the Garden Isle can be free or almost so. Its beauty is available for everyone to enjoy--and visitors, whether first time or repeat--continue to discover fascinating and affordable ways to love and appreciate Kauai. 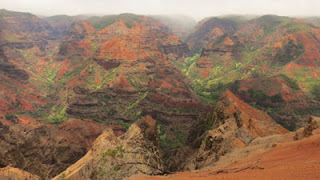 Marvel at the Grand Canyon of the Pacific—Waimea Canyon is a sightseer’s paradise—a mile wide, 10 miles long, and more than 3,500 feet deep. Of course, you can admire the brilliant colors from established walks and trails. 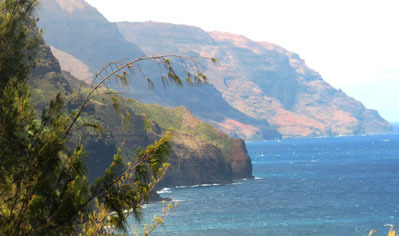 Take a picnic lunch to enjoy at the uppermost point overlooking the valley in Koke’e State Park. 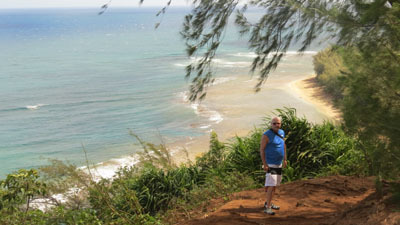 Kalalau Lookout and other points provide stunning views of the once-cultivated valley that extends to the Pacific Ocean. More adventurous folks might choose to hike into the crater—letting the sumptuous plant life and multi-colored rock formation envelope you. Hike in rainforests or lush valleys—Trails immerse visitors in Kauai’s verdant wilderness on comfortable walks or challenging treks. Serious hikers will want to tackle at least part of the 11-miles-long Kalalua Trail along the majestic Napali Coast (we’ve done a short portion of the trail two times). Because of frequent rainfalls, the often-narrow trail is damp and slippery, so good hiking shoes are a must. Views are simply spectacular, but hold on to your hat as the winds can be ferocious. 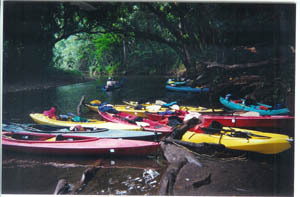 Kayak on the Wailua River—The only navigable rivers in Hawaii are found on Kauai. Rent a kayak and paddle along Wailua River, beside lush, tropical foliage, to the famous amphitheater called Fern Grotto, and on to Surprise Falls. Once a sacred place reserved for kings and high chiefs of Hawaii, now you can have a wonderful, soothing adventure here, either on your own or with a guide. (A riverboat journeys up the river for non-kayakers). View spectacular waterfalls—In Lihu’e you can drive right up to 80-foot Wailue Falls, seen in the opening credits of the 1970s television show Fantasy Island. 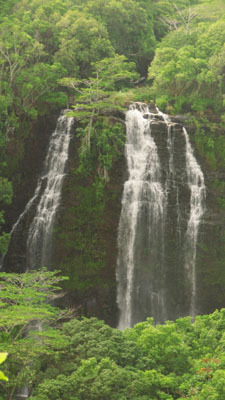 In scenic Wailua, Opaeka’a Falls on the island's east side is it's most accessible, a majestic sight as it cascades into a pool hidden beneath lush vegetation. A walkway allows you to see the waterfall from several angles, a tempting scenario for the insatiable photographer in many of us. Hit the beach—Kauai has more than 50 miles of gorgeous beaches. Forty-three white sand beaches range from popular touristy Poipu to lesser-known swatches of sand. All invite visitors to lounge in the sun or snorkel for views of undersea coral and fish. If you prefer to escape the crowds, check out numerous secluded coves on the island. Shop for locally-made items--Visit artists’ galleries at tiny Hanapepe. The quaint old-fashioned town is filled with beautiful works of art including exquisite pieces of furniture, wood carvings, paintings, ceramics, and hand-crafted jewelry. Spend an hour or two browsing, and you’re sure to find the perfect gifts for folks back home—or something special for yourself. Testing to see if the comment function is working properly.